World #Blood Donation Day 2017- My Blood & The Fellow In A Pool Of Blood! 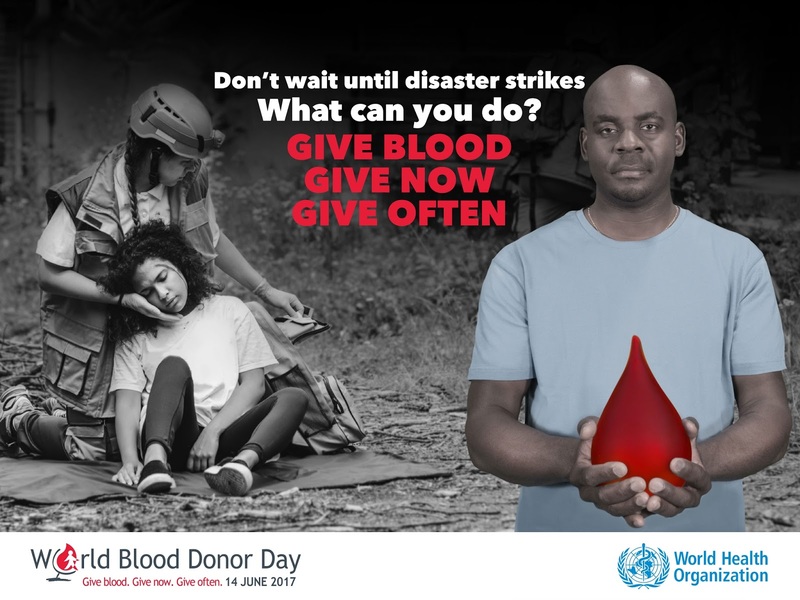 June 14 (yesterday) was WORLD BLOOD DONOR DAY 2017 and this year the theme is centred around what we can do to save a life in short of blood. Yes,say the prayers but spare other fanatical gibberish and "GIVE BLOOD;GIVE NOW;GIVE OFTEN"!!! I have never told this story online before but this occasion seems a perfect moment to tell the throwback story of "my blood and the fellow in a pool of blood. I had heard a lot of people who were in a position to help others but would rather pray and my reaction would usually be to laugh out loud when the stories were being told. Little did I know that,this blessed morning would be my judgement day. It was the beginning of 500 level in medical school and I was happy to resume at the Surgical ward for Intermediate Surgery posting. My horns were very green and I was eager to see what this introduction to clinical surgery had to offer. I breezed into the ward without looking left or right to where the teaching was about to commence. After a brief bedside lecture,we were done and on my way out,one of the most horrific scenery in my life till date hit me. There he laid in a red pool with a basin underneath his bed to avoid the floor from being soiled. First I did not believe it was blood until I saw the accompanying clots. My Christian Brother X from town had been involved in a motor bike accident and sustained a terrible urethral(urinary tract tear) that left him urinating frank blood. As he narrated his ordeal to me, I couldn't feel my feet supporting my lower limbs as I stared at the blood trickling slowly into the basin below his bed. He had just reacted to the only pint of blood that was available for him and without a donor, the Urology Unit would not take him into theatre to do the repair, yet there was no one to donate for him. The only words that could come out of my mouth was "God will help you, I will be back to see you tomorrow" but as I was leaving,a quiet voice in my heart whispered to be saying,"if everyone says God will help you and walk away,who will God use? why not be the first vessel?" That was how I turned back immediately and volunteered to donate for Bro X. Till today, he still feels I saved his life,saying,as soon as that blood entered his body, he felt life again. Of course he went in for the surgery and the rest is lifesaving history. There are many other cases like that out there that didn't make it and many more that wouldn't if you don't take visible action to help when you are in the position. GIVE BLOOD;GIVE TODAY;GIVE OFTEN- if you can. 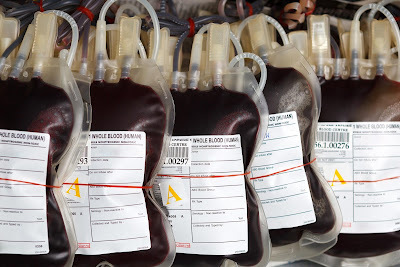 There are different conditions that can warrant patients to require blood transfusion;ranging from: traumatic blood loss like the case above; to inherited blood illnesses like sickle cell disease; cancer of the white blood cells (leukaemia) etc and a pint of blood volunteered by a fit donor can go a long way to save a recipient life. DON'T WAIT TILL A DISASTER HAPPENS;GIVE BLOOD,GIVE NOW,GIVE OFTEN. For more information about the campaign,see reference below.